EERVC are delighted to announce the following high profile speakers, all specialists in their fields. Filippo graduated from University of Bari, in 2001. He moved to UK in 2003 and worked for PDSA before joining the Royal Veterinary College in 2006 as Resident in Veterinary Dermatology. He gained the RCVS Certificate in Veterinary Dermatology in 2009 and became a Diplomate of the European College of Veterinary Dermatology in 2010. 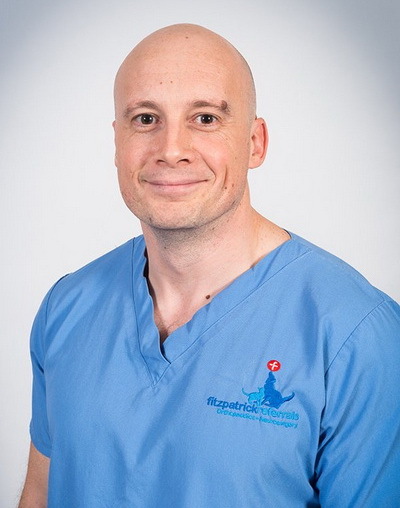 Filippo worked in several institutions, including the Animal Health Trust and The Royal Veterinary College; currently he works in four referral centres in London and south of England. He is also an Honorary Lecturer in Veterinary Dermatology, and Past President of the British Veterinary Dermatology Study Group. Mike Farrell graduated from the RVC in 1997, aged 5. He completed internships at the Universities of Bristol and Edinburgh. Mike has worked in Minnesota and Zurich as a veterinary anaesthetist and worked in general practice in the UK and Australia. In 2003, he completed a residency in surgery at the University of Glasgow and gained his European Diploma in Small Animal Surgery in 2007. 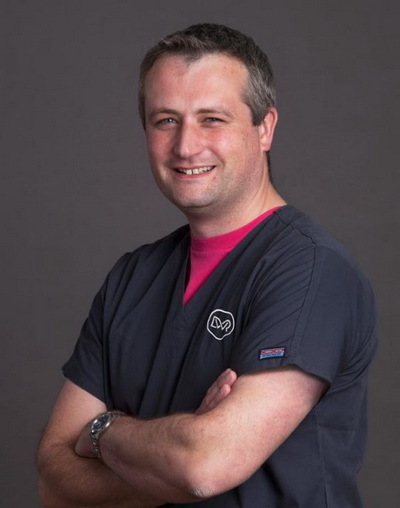 Mike is currently the Head of Service for orthopaedics at Davies Veterinary Specialists and is considered by himself to be the finest veterinary surgeon of all time. Laurent graduated from Paris’ vet school, the Ecole Nationale Vétérinaire d’Alfort, in France in 1995 and was assistant instructor in the anatomy department the following year. He then qualified for a 2-year surgical internship in the same school and later completed a Master of Science in Biology and Physiology of Circulation and Respiration, as well as a university degree in Experimental Surgery and Microsurgery. After having worked for 3 years in a large private practice outside Paris, he spent 4 years at the Centre Hospitalier Vétérinaire Frégis, near Paris, where he completed an ECVS residency. He became a diplomate of the European College of Veterinary Surgeons in 2008 and was recognized as a specialist in small animal surgery by the Royal College of Veterinary Surgeons in 2012. 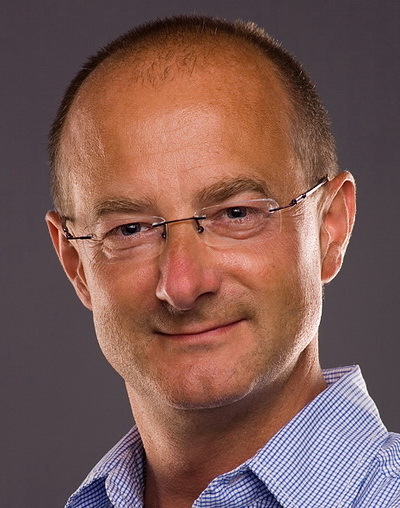 Laurent worked at VRCC Veterinary Referrals in Essex, United Kingdom, where he was one of the full-time soft-tissue surgeons and directors from 2006 to 2014. He moved to the Oncology and Soft Tissue Surgery department of Fitzpatrick Referrals in October 2014. Laurent is a member of several professional boards and committees, regularly contributes to international publications and book chapters, and gives lectures and presentation in many countries. His fields of interest include surgical oncology, reconstructive surgery and general soft tissue surgery. Vladimír Jekl is a 2002 graduate of the University of Veterinary and Pharmaceutical Sciences (UVPS) Brno, Czech Republic. He obtained his PhD in exotic companion mammal dentistry in 2006. 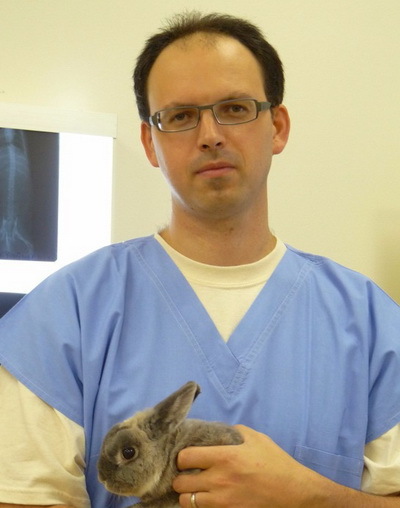 He has practiced exclusively exotic animal medicine and since 2009 is European Recognised Specialist in Zoological Medicine (Small Mammal Medicine and Surgery) and from 2016 he obtains the title Associate Professor at the UVPS. From 2017 he is the co-owner of the Jekl & Hauptman Veterinary Clinic Focused on Exotic Companion Mammals. He has lectured extensively thorough the Europe and the USA and he has published more 400 articles in regional and international journals and books, including chapters in BSAVA Manuals and Practical Veterinary Dental Radiography. Ioannis Kavarnos graduated from the Faculty of Veterinary Science, University of Thessaly in 2010. Subsequently, he completed the postgraduate program of Internal Medicine in the Companion Animal Clinic, School of Veterinary Medicine, Aristotle University of Thessaloniki. He is currently undertaking a doctoral degree on canine Leishmaniosis focusing on the impact of the disease on the respiratory system. He has participated as a co-author in several published manuscripts and has presented parts of his studies in European and Greek congresses. 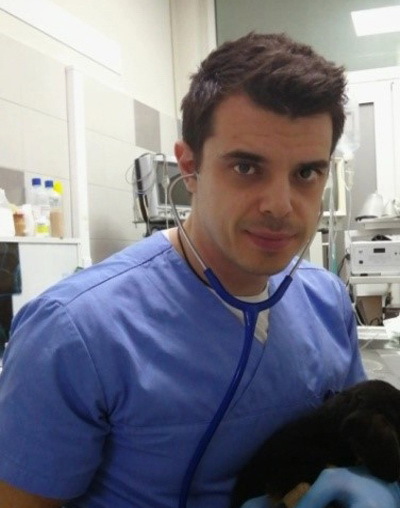 During the last nine years he has been working, alongside with his studies in a small animal veterinary practice in his hometown and later, as an internist in a 24h service veterinary clinic in Thessaloniki. His clinical interests include canine and feline infectious diseases. Panagiotis (Pete) Mantis graduated from the Faculty of Veterinary Medicine of the Aristotle University of Thessaloniki, Greece. Pete completed his veterinary diagnostic imaging residency at the Royal Veterinary College. 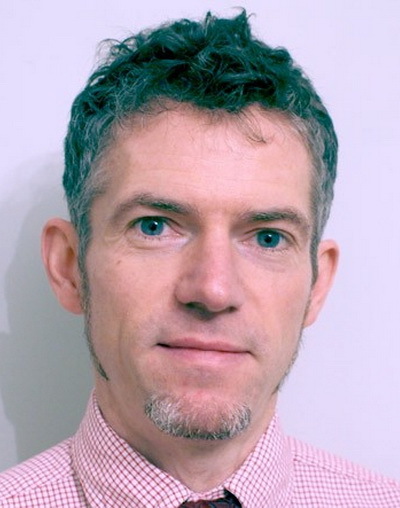 After completing his residency, Pete worked in first opinion practices and referral hospitals in the United Kingdom providing an emergency and diagnostic imaging consultancy service. DVM, PhD, Dipl. AVDC, Dipl. EVDC, Assist. 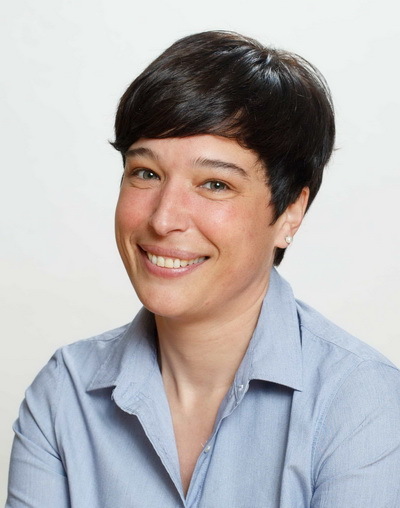 Prof.
Ana Nemec graduated from the Veterinary Faculty University of Ljubljana, Slovenia in 2004 and continued with a multi-disciplinary PhD program in Biomedicine at the University of Ljubljana. She was awarded her PhD in 2009. Ana wanted to complement research with in-depth clinical knowledge and applied for a 3-year residency training in Dentistry and Oral Surgery at the University of California-Davis, USA. Upon completion of the residency programme in 2012, Ana returned home to the Small Animal Clinic of the Veterinary Faculty in Ljubljana. She passed her board examination and became a Diplomate of the American Veterinary Dental College (AVDC) in 2013 and has also been accepted to the European Veterinary Dental College (EVDC). 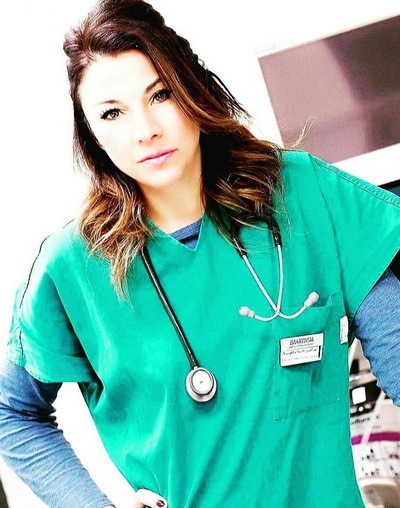 Ana joined the team at Animal Hospital Postojna, Slovenia in April 2018. She is a guest lecturer at the postgraduate study programme in surgery, anaesthesiology, ophthalmology, and veterinary dentistry at the Veterinary Faculty, University of Zagreb, Croatia, a member and past-treasurer of the European Veterinary Dental Society, Secretary of the EVDC, Credential Committee member of AVDC, recipient of several national and international awards in veterinary medicine, an Associate Editor of ‘Veterinary Dentistry and Oromaxillofacial Surgery’ journal, a reviewer in several international journals and author of research and professional papers, but her greatest passion remains the teaching of veterinary dentistry. Graduated from the School of Veterinary Medicine, Aristotle University of Thessaloniki (A.U.Th. ), in 1986 and subsequently completed an internship in the Clinic of Companion Animals, Department of Clinical Sciences, of the same institution. Admitted as a PhD student in the Diagnostic Laboratory, Department of Clinical Studies, School of Veterinary Medicine, A.U.Th., in 1989 and received the PhD degree in 1991. Elected Lecturer and assigned to the Diagnostic Laboratory of the Department of Clinical Studies in May 1999, promoted to Assistant Professor in June 2003, to Associate Professor in November 2010 and to Full Professor in June 2015. Appointed as Director of the Diagnostic Laboratory, School of Veterinary Medicine, Faculty of Health Sciences A.U.Th in February 2016. Accepted as Charter Diplomate of the European College of Veterinary Clinical Pathology (ECVCP) upon the institution of the College in 2001 and recertified in 2008 and 2013. 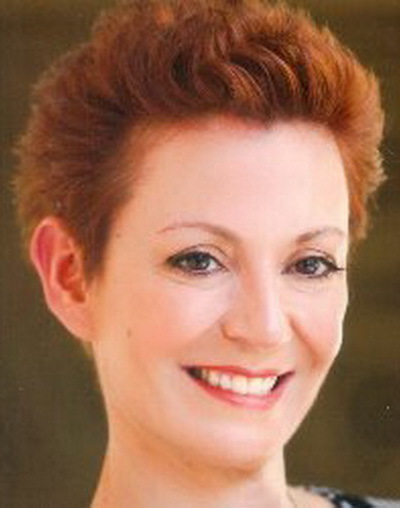 Elected and served as vice president of ECVCP from 2013 to 2016 and currently serving as acting president (2017-2019). Organized the 11th Meeting of the European Society of Clinical Pathology (ESVCP) in 2009 in Thessaloniki, Greece and the 20th Meeting of the ESVCP/ECVCP meeting in 2018 in Athens, Greece. Was actively involved in the scientific meetings and the continuing education programme of the Hellenic Veterinary Medical Society (HVMS) and elected (2015-present) as Chair of the Companion Animal Section. Appointed as the chair of the scientific committee of the 2012, 2013 and 2016 HVMS congress. Currently involved in the continuing education programme of the School of Veterinary Medicine, A.U.Th. and HVMS, aiming in the training of private practitioners in Greece. Has published over 100 papers, most of them in international peer-reviewed scientific journals with an impact factor and listed in medical databases. Co-authored 2 veterinary medical textbooks that are used as reference teaching material in both Veterinary Faculties of Greece (Aristotle University and University of Thessaly). Attended over 70 veterinary medical conferences, being either a presenter of a scientific abstract or an invited speaker in more than half of them. Member of the FECAVA Vector Borne Diseases Working Group, which produced in 2018 the relevant factsheets for common vector borne diseases, to be used by practicing veterinarians. Main research field is veterinary clinical pathology (mostly clinical biochemistry of companion and farm animals). Special topics of interest include the long term changes of cardiac biomarkers in canine mitral valve disease, the study of selected biomarkers in chronic renal disease, senile cognitive dysfunction of companion animals, epilepsy and degenerative CNS disorders. Other current research projects include the study of acute phase proteins (COST action-Farm Animal Proteomics) and trace elements in farm animals. 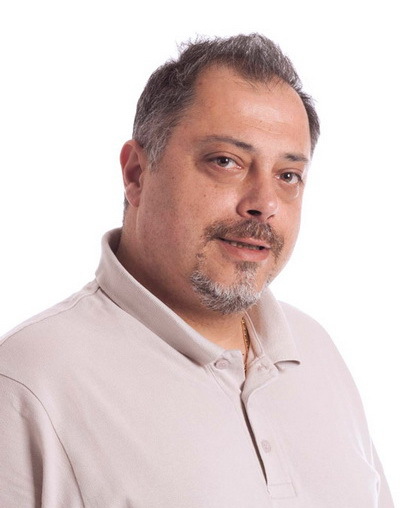 I have qualified from Aristotle University of Thessaloniki in 2000 and have been working since as an internist and later as head of the Endoscopy and Gastroenterology Department in a referral clinic in Athens (www.plakentiavet.gr). My clinical interests include canine and feline gastroenterology / hepatology, clinical nutrition as well as diagnostic and interventional endoscopy in companion animals. I have participated in several advanced postgraduate intensive courses in Veterinary Endoscopy (University of Giessen, ESAVS, Improve International) and hold a GP Certificate in Small animal Internal Medicine (2009), a GP Certificate in Endoscopy and Endosurgery (2010) from the European School of Veterinary Postgraduate Studies and a PgC in Small Animal Medicine (2015) from Harper Adams University. I am a member of the Veterinary Endoscopy Society (VES), the Comparative Gastroenterology Company (CGS) and the European Society of Comparative Gastroenterology (ESCG). My passion is sharing knowledge and I’ve been an invited speaker every year at the annual Greek congress as well as in various seminars, webinars and a trainer in postgraduate endoscopy courses in Greece. I have served as the President of the Organizing Committee of the 8th Greek forum, and during the last 5 years I have always served as a member of the scientific committee. I was honoured to be a co-author at Dr. Rallis (Professor of Internal Medicine at AUTH University, Greece) book on Pancreatic Diseases and my chapters were focused on endocrine and exocrine pancreatic neoplasms. 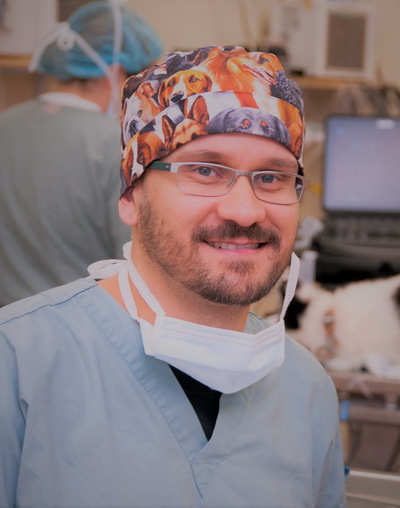 An associate professor of Veterinary Anesthesiology and Pain Management at the Université de Montréal. He is the head of a research laboratory dedicated to improving the standards in pain management in companion animals. He earned his DVM and completed a residency at Sao Paulo State University, then earned his MS and PhD with emphasis in feline analgesia at the same institution. He is a member of the Journal of Feline Medicine and Surgery editorial board, the WSAVA Global Pain Council, the WSAVA Dental Guidelines Committee and he has been recently appointed the co-chair of the WSAVA Therapeutic Guidelines group. Dr. Steagall has published more than 80 articles on pain management in small animals. He has recently published the book entitled ‘Feline Anesthesia and Pain Management’. Simon trained at the University of Cambridge and, after qualifying, spent 2 years in small animal practice before taking up a Residency in Small Animal Medicine and Intensive Care Simon trained at the University of Cambridge and, after qualifying, spent 2 years in small animal practice before taking up a Residency in Small Animal Medicine and Intensive Care at the University of Bristol. He joined DWR in 2007. He holds the Royal College Certificate in Small Animal Medicine and the European Diploma in Veterinary Internal Medicine. the University of Bristol. He joined DWR in 2007. He is an active member of the British Small Animal Veterinary Association and editor of Companion Journal. 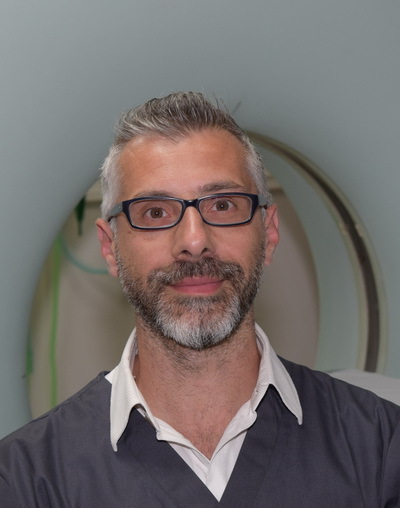 Simon particularly enjoys critical care and has been instrumental in developing the Interventional Radiology service at DWR, using minimally invasive techniques and bio-materials to treat many conditions which previously required more invasive surgery. He has lectured widely in the UK and Europe on subjects including emergency medicine and interventional radiology. Simon’s current research interests are the prevalence of the multi drug resistance gene within the UK and the implications on disease aetiology. Dr. Willard is a 1975 graduate of the Texas A&M University, College of Veterinary Medicine. He did his internship and Masters degree at Kansas State University and his internal medicine residency at Michigan State University. After that, Dr. Willard held faculty appointments at Michigan State University, Mississippi State University, and Texas A&M University. He is currently Senior Professor and Professor Emeritus of Small Animal Clinical Sciences and specializes in gastroenterology, hepatology, pancreatology and endoscopy (flexible and rigid). Dr. Willard has extensive experience with protein-losing enteropathies and gastrointestinal problems of racing Alaskan sled dogs. He is an Associate Editor for the Journal of Veterinary Internal Medicine. 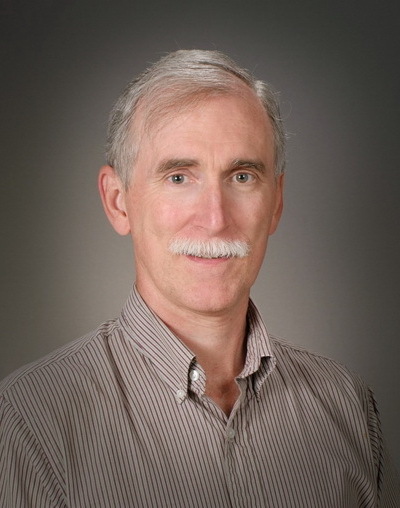 Dr. Willard has given over 3,500 hours of invited post-graduate continuing education lectures (nationally and internationally), has over 80 refereed publications, and has over 150 book chapters in print.